Hosting your applications inside of Linux containers gives you more speed and flexibility than running them in VMs, but those containers still need proper configuration management. Most people choose something that goes beyond simple shell scripts. Docker’s Dockerfile has some characteristics of infrastructure as code but, deep down, it still defines actions to be taken as shell commands. For systems administrators and developers who want to migrate their existing application stack to containers, the prospect of rewriting all their infrastructure code for application stacks they may not fully understand can be daunting. This webinar will show how chef-container provides a consistent configuration management experience across container solutions. This webinar is part four of a four part series that focuses on the steps you should take to bring about digital transformation in your organization. In this webinar, we talk about how to decrease change failure rates. High-performing organizations that have undergone digital transformation have very low rates of failure when introducing changes. Key to this resiliency is that these organizations focus on improving how quickly they recover from failures rather than trying to prevent failures from happening. By emphasizing recovery over prevention, they achieve a substantially higher rate of service resiliency. Industry metrics prove that this capability is part of an overall approach to outperforming your competitors. This short-form webinar series invites you to participate in a discussion on how to implement digital transformation and which metrics demonstrate progress on your journey. This webinar is part three of a four part series that focuses on the steps you should take to bring about digital transformation in your organization. In this webinar, we talk about how to increase the rate at which you can deploy new software. High-performing organizations that have undergone digital transformation are agile. They respond to market pressures by shipping new features quickly, safely, and reliably. A key requirement of that agility is that these companies can experiment with small-batch incremental changes. But how do you accomplish that and know your efforts are succeeding? It's been two years since we released Chef Client 12, and in that time the world has changed. Chef Client 13 will be released in April 2017, featuring more resources, a more streamlined way of writing custom resources, and many other improvements to making automating your infrastructure as efficient as possible. In this webinar, Thom May, Community Engineering Lead at Chef, will give a guided tour of what's coming in Chef 13, how you can ensure that your Chef cookbooks are ready for the upgrade, and how you can write the best possible cookbooks. This webinar is part two of a four part series that focuses on the steps you should take to bring about digital transformation in your organization. In this webinar, we talk about ways to manage risk. Traditionally, determining whether an application and its supporting infrastructure meet an organization’s information security standards is tacked on as an afterthought, at the end of the development and testing cycle. In contrast, high-performing organizations that have undergone digital transformation treat these requirements as fundamental to a successful software deployment and shift security and compliance testing far to the left. Industry metrics demonstrate that embedding compliance requirements into the deployment pipeline improves your ability to ship your software faster. As you become a more sophisticated Chef, the complexity of the recipes you write increases. You find yourself querying data from the Chef server or requesting the state of an operating system component. You’re using complex logic that is abstracted behind helper methods. However, these advanced recipes require equally advanced tests. In this webinar, Franklin Webber, Training and Technical Content Lead at Chef, will show you some approaches to testing complex recipes. He’ll explain mocking and stubbing and then apply those techniques to verify recipes that use search, resource guards, and helper methods. This webinar is part one of a four part series that examines how digital transformation enables you to outperform competitors. Digital transformation occurs when a company adopts technologies and practices that change it from one that ships its software slowly and painfully to one that ships software quickly while, at the same time, improving its quality and mitigating risk. Businesses that embrace digital transformation outperform their competitors: they capitalize on disruption rather than allowing themselves to be disrupted. They deliver their software faster, with higher efficiency and lower risk. These advances can be quantified to prove their effectiveness. This short-form webinar series invites you to participate in a discussion on how to implement digital transformation and which metrics demonstrate progress on your journey. The first part of our series, focuses on the overall challenges businesses face in the marketplace and how to gauge where you stand. Subsequent webinars will focus on specific measures that move transformation forward. The Chef client uses a tool called Ohai to gather data about a node. For example, by default, Ohai collects a node’s platform, platform version, and IP address. The data Ohai collects is stored on the Chef server and can be used for reporting, troubleshooting, and in your recipes. However, Ohai’s real power lies in its plugin interface. You can build custom Ohai plugins that help you to create dynamic recipes and that augment the amount of information you collect about a node. In this webinar, Franklin Webber, Training and Technical Content Lead at Chef, will explain Ohai’s plugin structure, walk through the core Ohai plugins, and show you how to build and test a custom plugin. Finally, he’ll talk about some further refinements you can add to the implementation. You’ve probably found that the many tests you write for all your cookbooks require as much or more effort than maintaining the cookbooks themselves. You’ve also probably noticed that there’s quite a bit of boilerplate code required to verify all the recipes, resources, and helpers. The consequence is that much of your test code is duplicated from one cookbook to another. In this webinar, Franklin Webber, Training and Technical Content Lead at Chef, will show you techniques that bring elegance to a cookbook’s tests. You’ll learn how to eliminate redundancy, rebuild common patterns into helpers, and extract those helpers into a portable library. It's hard enough for a company to run its own services reliably - there are entire volumes of work written on how to do it. When you’re a vendor to other groups in your own company, you add even more complexity when you dogfood software; the practice of testing and using the same software you ship to customers. At Chef, we decided to dogfood our own products along with several new technology components simultaneously. It was an educational experience! In this webinar, Chef Principal Engineer Seth Chisamore shares how his team learned to dogfood software for the Package Router project, which is a service used to distribute every product Chef Software Inc ships. Our software was still under development and the team used dogfooding not just as quality control but as a way to demonstrate their confidence in its stability. He'll talk about lessons learned and how the team leveraged several Chef products--including Habitat, InSpec, and Chef Automate--in tandem with a new technology stack to make sure our software is always ready to release to customers. Containers provide a delightful development experience. It’s easy to download a container image and get started writing code. But it’s a different story when you have to run containers in production at scale. That’s when all the hidden complexities become apparent and the real challenges begin. What tools are you going to use to build, deploy, run, and manage your containerized applications? How are you going to manage difference between environments like staging and production with a fleet of immutable objects? How will you effectively scale containerized applications once you’ve deployed them? Habitat, our open-source project for application automation, simplifies container management by packaging applications in a compact, atomic, and easily auditable format that makes it easier to deploy your application on various container runtimes. Once your applications are deployed, the Habitat supervisor simplifies the complexities of running in production environments with built-in abstractions for functions typically handled by external tooling, such as dynamic scaling and rolling updates. Join Ian Henry and Michael Ducy on Friday, December 9th at 10:00 AM PT, to learn how Habitat makes building, deploying, and running your applications in containers simple, no matter how complex the production environment. - Why automation is critical to deploying in a containerized world and how - Habitat provides the minimum viable automation. - Why a strong container build system is important, and how the Habitat studio provides that system. - Why Habitat is the easiest way to build and run containers at scale, no matter the underlying container architecture. Chef recently completed a migration of the entire of hosted Chef service, one of the largest implementations of Chef server in the world. We moved from an on-premises, third-party data center to running entirely in AWS with only 20 seconds of downtime. If you’re planning a complex migration of your own, or are just curious, join us for part two of our "Chef on Chef" series, Migrating Critical Workloads to AWS, to learn about how we did it. Jessica DeVita, Technical Evangelist at Chef, will chat with Paul Mooring, Operations Manager at Chef, about this multi-faceted operation. Jessica and Paul will cover topics such as defining and redefining a minimum viable product (MVP), load testing, dogfooding all the Chef things, using pipelines to manage machine image generation, failed monitoring solutions, the use of policy files, and lessons learned along the way. This webinar features an extended Q&A session, so come prepared with your Chef migration questions. There are many existing solutions for distributing secrets or sensitive information with configuration management tools like Chef. Between node attributes, encrypted data bags, and third-party services, the possibilities are truly endless. One such solution is to utilize a secrets management system, like HashiCorp's Vault. This webinar discusses multiple techniques for retrieving secrets from Vault using Chef. As infrastructure increases in complexity, so to does our need to secure it. Join us to learn how you can use Chef and Vault to secure your infrastructure and accelerate application delivery. Chef Certification provides a mechanism for individuals to demonstrate their knowledge and practical experience with Chef, allowing them to enhance their marketability. The program also provides a learning path for each badge with well defined achievements and progression milestones. In this webinar, we will talk about Chef’s modular and flexible approach to certification. We’ll explain why we use “badges” and how this allows us to be agile to change within Chef’s product portfolio and evolution of the wider ecosystem. This webinar is intended for anyone who wants to learn more about the Chef Certification program, its technical depth and how to get started with it. InSpec is an open-source testing framework with a human-readable language for specifying compliance, security and other policy requirements. Just as Chef treats infrastructure as code, InSpec treats compliance as code. The shift away from having people act directly on machines to having people act on code means that compliance testing becomes automated, repeatable, and versionable. Traditionally, compliance policies are stored in a spreadsheet, PDF, or Word document. Those policies are then translated into manual processes and tests that often occur only after a product is developed or deployed. With InSpec, you replace abstract policy descriptions with tangible tests that have a clear intent, and can catch any issues early in the development process. You can apply those tests to every environment across your organization to make sure that they all adhere to policy and are consistent with compliance requirements. Inspec applies DevOps principles to security and risk management. It provides a single collaborative testing framework allowing you to create a code base that is accessible to everyone on your team. Compliance tests can become part of an automated deployment pipeline and be continuously applied. InSpec can be integrated into your software development process starting from day zero and should be applied continuously as a part of any CI/CD lifecycle. In this webinar, we’ll explore how InSpec can improve compliance across your applications and infrastructure. Security experts, system administrators, software developers, or anyone striving to improve and harden their systems one test at a time. Many companies want to break down the silos that separate different teams in their organization but find that the lack of a common approach to automation presents a formidable challenge. At Chef, we had that very problem when we realized that, to effectively demo our then unreleased product Chef Automate, we needed to automate its installation. The automation not only had to bring up a standard Chef Automate cluster, but it also had to make it easy for many different teams at Chef to layer on top of it so they could tailor the demo to their own purposes. 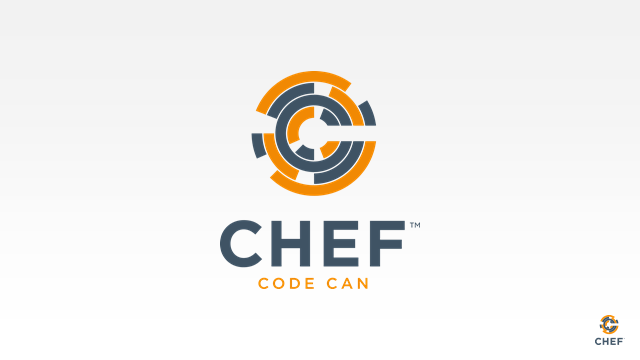 In this webinar, Chef technical evangelists Jessica DeVita, Andre Elizondo, and Seth Thomas will discuss what folks at Chef learned about bringing different groups together to create something that everyone can use.They’ll talk about using tools besides Chef, leveraging test-driven development methods, and dogfooding through automation. You’ll also learn how the automation, nicknamed “wombat” is evolving, and why it’s important to implement pipelines early. It can be difficult to hire people with the exact skills you want or need for your DevOps team. Just look at the job boards! There’s tons of competition and not nearly enough people to meet the demand. With a total size of 8 employees, DNSimple decided to take a different approach by starting an apprenticeship program to train people with little to no experience in DevOps. In this webinar, Aaron Kalin of DNSimple goes over the lessons learned in budgeting, hiring, and onboarding their first ever apprentice along with why and how you might want to start a similar program at your company. Aaron will conclude with an update of where their apprentice is now and answer any questions you might have. Each year a number of awesome Chefs receive special recognition from the community for the work that they do to help the community thrive. In this webinar Nathen Harvey, VP of Community Development, will sit down with this year's Awesome Community Chefs and talk about what makes the Chef Community special and discuss the upcoming Chef Community Summits. Chef is built in Ruby - a conscious choice for its great flexibility and developer friendliness. For some people, learning the language can feel difficult because most examples lack your perspective as a Chef practitioner. In this interactive webinar, we invite you to follow along in your favorite editor as we dive through the source code to teach you core Ruby concepts. Chefs with a basic understanding of writing recipes and cookbooks that want to gain a better understanding of the cookbooks they author and the tools that they employ each day. During this webinar we'll discuss the different components of Chef Automate and talk about how it unifies Chef, Inspec, and Habitat into a comprehensive automation strategy for any company in today's digital world. - Workflow features provide a common pipeline for governance and dependency management. - Visibility features give you deep insight into what’s happening in your organization, including serverless chef-client runs and data from multiple Chef servers. - Compliance features enable automated compliance assessments in your workflow pipelines. Healthcare organizations face increasing regulatory pressure to maintain compliance with HIPAA regulations, while also needing to significantly modernize their technology to comply with ACA, Meaningful Use, and other federal, state, and local requirements. At the same time, the Healthcare field has never had a better opportunity to increase personalized care, lower costs, and leverage technology for measurably better outcomes. Cloud computing offers nearly unlimited computing and storage capacity - but with great power comes great responsibility. The agility Healthcare is enjoying in the cloud comes with increased risk and exposure to security breaches due to lack of compliance with Healthcare regulations and industry best practices. Cloudticity's HIPAA Compliance as a Service, using Chef's automated compliance capabilities on AWS, is a fully automated software-as-a-service solution. In this webinar, you will see firsthand how Cloudticity has mapped Chef's compliance CIS profiles directly to HIPAA CFR regulations, providing a powerful automated solution to leverage the cloud's agility while minimizing risk. We are IT automation for speed and awesomeness. We give you a model for automating IT infrastructure and applications that drive self-reliance across your development and operations teams. We are the Chef Community. We are tens of thousands strong. We are helping your businesses become faster, safer and more flexible, so you win in today's 24x7 digital economy. Join our movement today.